We hope your New Year is off to a great start! At ModernEyes Eyecare + Eyewear, we want to wish you the best year yet in 2017. We have a couple neat things to tell you about, so please keep reading! First, we have some fun, fresh new frames in for you to check out! We try to be on the lookout for new trends, styles, and frame lines you’re sure to love. One of our current favorites is 141 Eyewear. Not only do they have great styles, but they have a great philanthropy mindset as well. For each pair of 141 frames purchased, they donate a pair to someone in need. This is sometimes within the United States, but also on a global level. In fact, one of my friends from optometry school established a clinic in Guatemala. 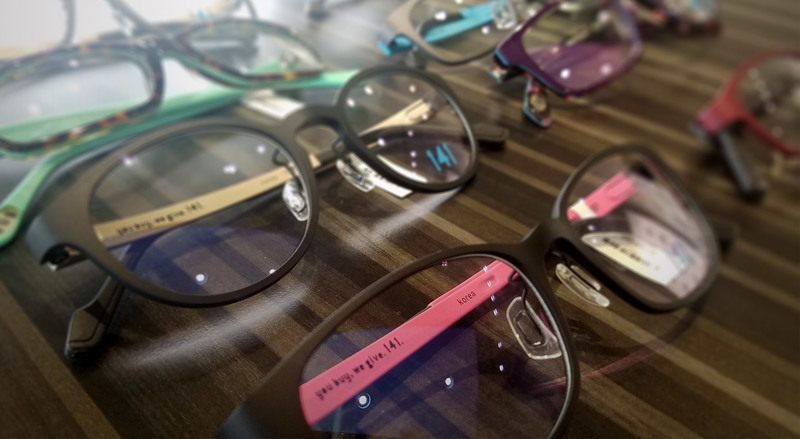 Over the summer, her clinic received a shipment of 141 frames donated to provider her patients with a brane new pair of glasses. The coolest part? The frames they donate are the same frames that we have on our shelves for our patients, not some boring, poor-quality "charity frame." I'm making progress organizing all of our donations today! You know how sometimes you feel like you've done so much but whatever you are working on looks almost exactly the same as when you started? That is how I feel. Check out some of our new frames from 141 Eyewear out of Portland, Oregon. Their motto is "you buy, we give". For every frame sold they donate a new frame to someone in need. Pictured are some of my favorite men's, women's, and kids frames from them! We have loads of these. Love the oversized frames and the cute colors. Awesome company. 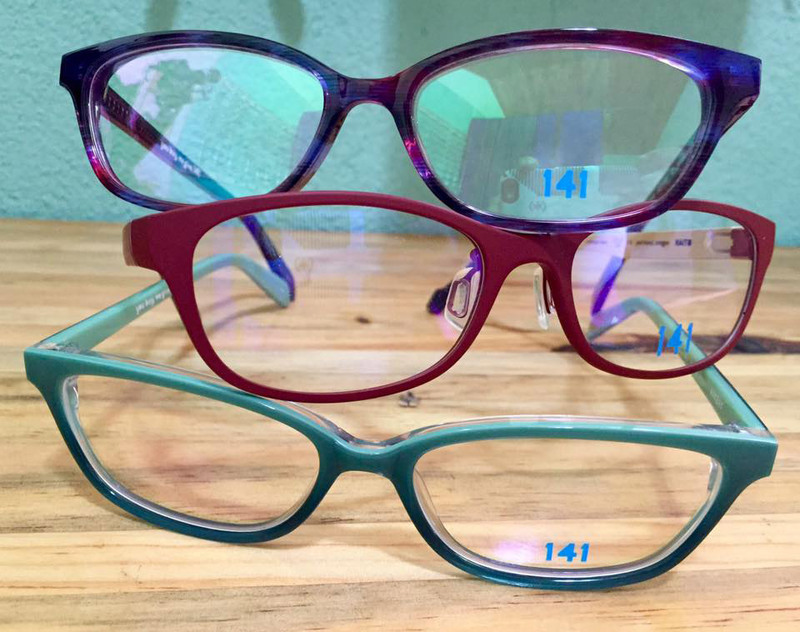 141 Eyewear has two main frame lines. Their Ultem line is super flexible and very durable. They also have an extremely low carbon footprint and are made of 100% non-toxic materials. Their acetate (aka plastic) line has lots of styles in fun color combinations. The frames are all designed and manufactured in Portland, Oregon. Come check them out! We have also seen an uptick in doing lenses for vintage frames. If you have a pair of vintage frames in good condition, please bring them in for us to check out. 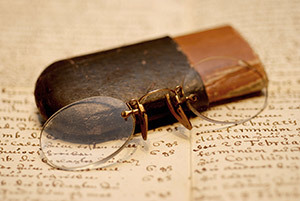 The local lab we use for any job we cannot complete on-site with our edging equipment allows us to put lenses in a wide variety of frames, including vintage or antique frames. We will take gentle care of your frame to keep it in the best shape possible so you can enjoy their style! While we love the frames we carry, sometimes you’re simply attached to a frame you already have. If that’s the case, we can most likely order the lenses and have them sent to our office where we can trace your current frame and cut the new lenses to size in about half an hour. Come on in, grab a cup of coffee and relax in the optical while you wait. No need to mail them off and part with them for two weeks or more! Last, since our soft opening in September and Grand Opening in November, our business has continued to grow. We are excited to announce that at the end of February, I will be in the office an additional day each week to do exams. Your options will be Mondays, Wednesdays, Thursdays, and some Saturdays (approximately every other week). Give us a call or check out the online portal on our website to set up an exam. We’d love the opportunity to meet you!